Pennsylvania Avenue is a diagonal street in Washington, D.C. and Prince George's County, Maryland that connects the White House and the United States Capitol and then crosses the city to Maryland. In Maryland it is also Maryland Route 4 to MD-717 where it becomes Stephanie Roper Highway. The section between the White House and Congress is called "America's Main Street", it is the location of official parades and processions, as well as protest marches. 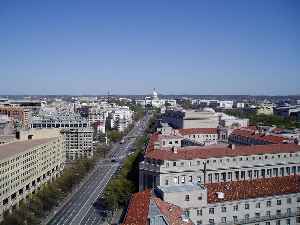 Moreover, Pennsylvania Avenue is an important commuter road and is part of the National Highway System.